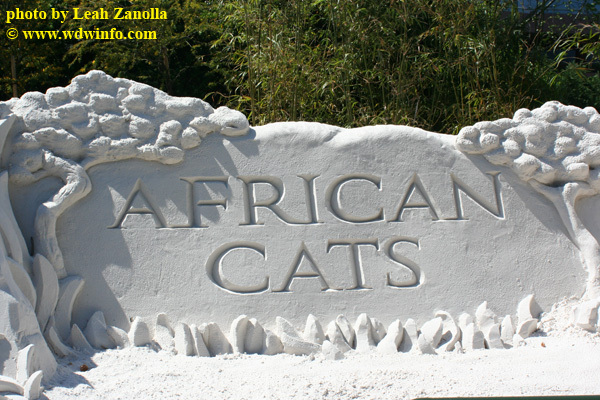 For those who attended this year’s Epcot International Flower and Garden Festival, you may have noticed the elaborate “African Cats” sand sculpture featuring lions, cheetahs, and their cubs (oh my!). 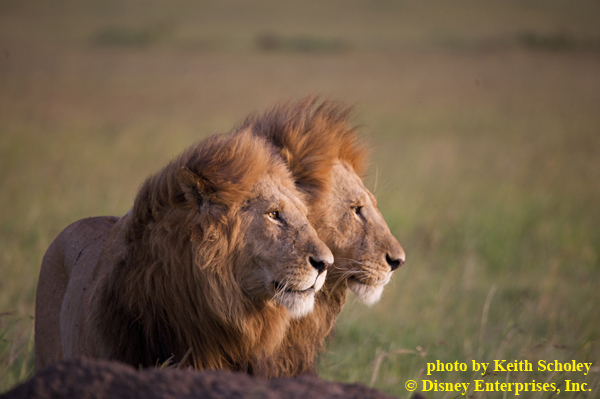 In addition, this Earth Day, Disney’s Animal Kingdom will also celebrate the release of DisneyNature’s newest film “African Cats” with a Big Cat Party for the Planet with activities featuring the cheetahs and lions found in that Disney theme park. Recently, I spoke with the director, writer, and producer of DisneyNature’s “African Cats”, Keith Scholey. Continue after the break to listen to my interview and learn more about the new film currently promoted at Walt Disney World. 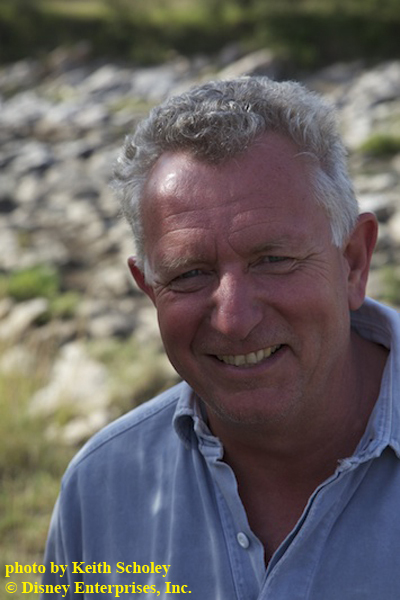 Click here to listen to the complete interview with “African Cats” director Keith Scholey. The creative team spent two and a half years in the East African wilds shooting this film. “If we get a minute of good footage a week, we’re doing well,” Scholey said of the extended production schedule. I asked if they went into the field with a preconceived story in mind? Keith mentioned they actually worked with these animals for many years, much longer than the two and a half year shooting period, so they already had a good idea in their mind what would happen and could “rough out” a story. 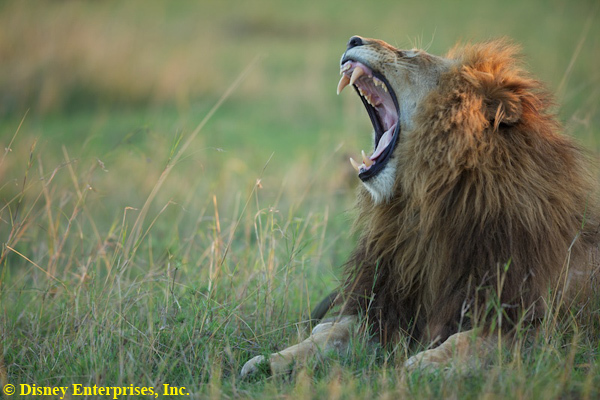 However, the key to “African Cats” was finding big characters, and once they found the animals to play those characters, the plot would happen: start filming and let the story run. The story is real; Keith said the filmmakers exert no control, and the narrative emerges organically. There are two animal “families” prominently featured in the film. 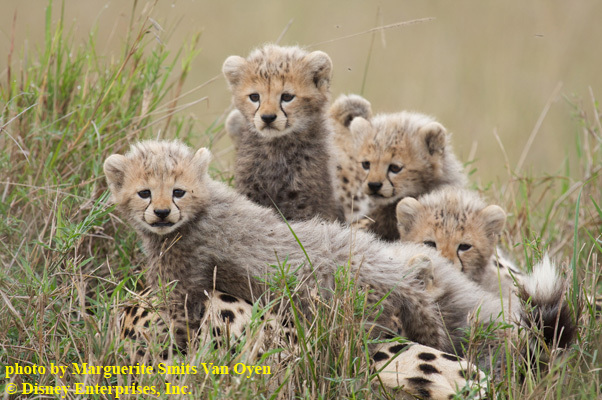 First is a mother cheetah named Sita and her cubs. 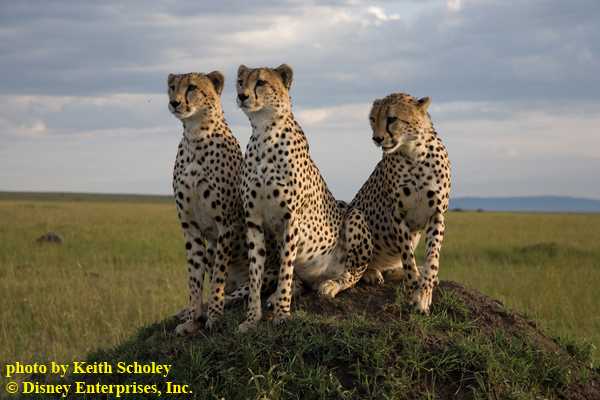 Scholey mentioned when they arrived in the Masai Mara National Reserve on the border of Kenya and Tanzania, they stumbled upon Sita who had just given birth to 5 cubs. 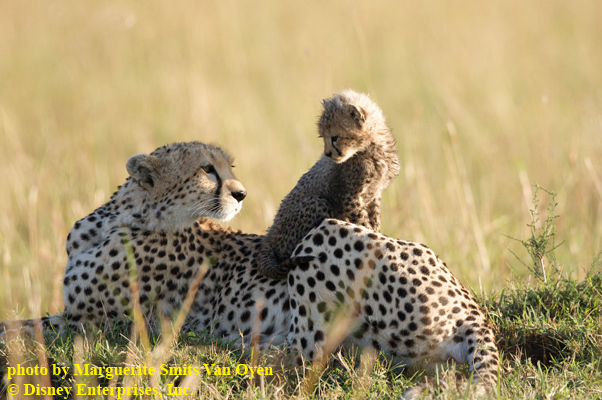 Scholey knew instantly the cheetah family would play a prominent role in the film. Since the filmmakers devoted over 2 years of their lives following these animals, I asked if they were ever concerned for the lives of their animal stars. “Absolutely,” said Keith. He explained how only 1 in 20 cheetah cubs reach adulthood. Therefore, they took a huge gamble following Sita and her cubs. However, based on their prior research they knew Sita was an experienced mother, and experienced mothers fare much better raising their cubs to adulthood. Although, there was still no guarantee the outcome for Sita’s cubs would not end tragically. This is the third consecutive year DisneyNature released a film on Earth Day. For each previous film a portion of the proceeds were contributed to a related conservation effort. In 2009, “Earth” helped plant over 2.5 million trees in Brazil’s Atlantic RainForest. Last year, “Oceans” protected a coral reef in the Bahamas. 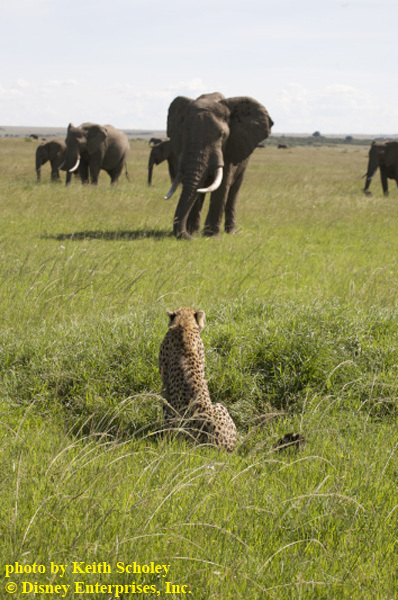 “African Cats” will be no different, with a portion of the proceeds earmarked for the African Wildlife Foundation to “Save the Savanna.” Keith Scholey described the conservation project in more detail. I want to thank Keith Scholey, director of DisneyNature’s “African Cats” for taking time out of his schedule to speak with me. The film opens on Earth Day, Friday, April 22nd. For everyone who purchases a ticket to see the film during the opening week (April 22-28), Disney will donate $0.20/ticket to the African Wildlife Foundation to protect the Amboseli Wildlife Corridor ($100,000 donation minimum). 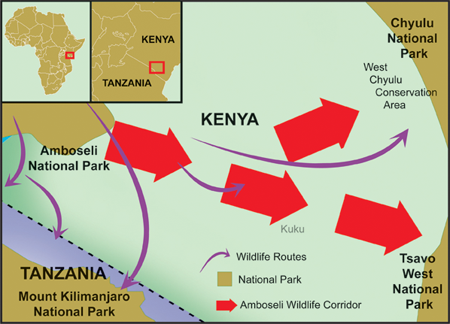 This corridor is a vital passage between the Amboseli, Tsavo West and Chyulu Hills National Parks frequently used by lions, cheetahs, elephants, zebras, giraffes and a host of other animals in the African savanna. 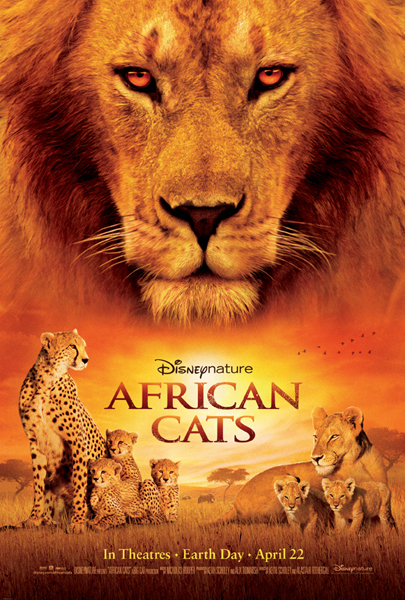 To find out even more information about African Cats, check out the Official DisneyNature African Cats thread on the DISboards. 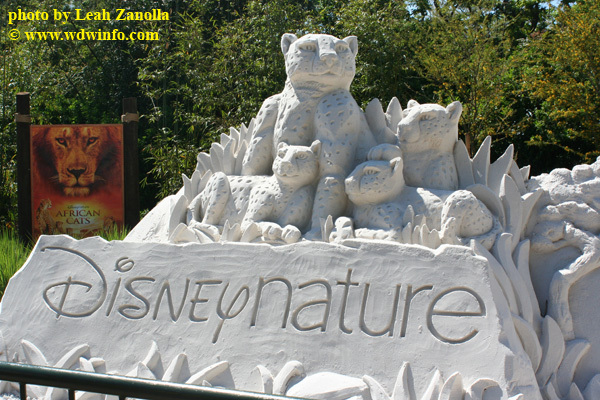 The thread contains all the press releases, publicity photos (i.e., cute cub pictures), and links to video clips provided by Walt Disney Studios Motion Pictures. Are you interested in this newest DisneyNature film? Leave a comment below to let us know what you think. New Disney Treats in Playful Boxes are a BIG Hit! Kim Possible Japan Mission – Got 2 Minutes to Save the World?